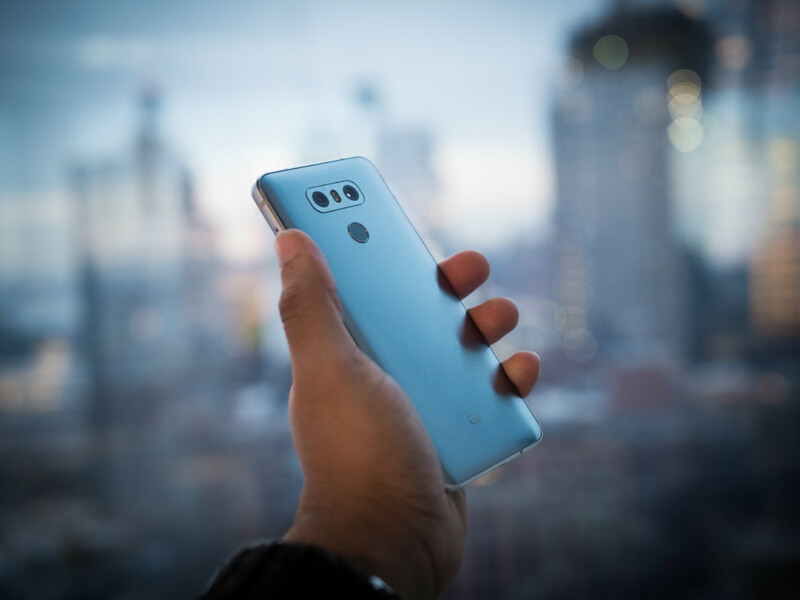 After seemingly endless leaks and rumors, the LG G6 is, at long last, official. We got the chance to go hands-on with the device and its gorgeous 2:1 screen a bit before its Mobile World Congress announcement, and we like what we see so far. 18:9 aspect ratio. Also known as 2:1. You know, ratios. Black, Ice Platinum, and Mystic White colors. White not available in the US. LG finally caved: it’s given up on a removable battery and crafted a sleeker, sealed metal and glass design. Despite the focus on aesthetics, my immediate impression of the pre-production model I tested is that the design is of a fairly utilitarian design, in usual LG fashion. Don’t get me wrong; It’s nice, but it didn’t wow me the way the Samsung did when it made the same move a couple of years ago (other than the screen, but more on that later). Perhaps that’s because the glass back, metal frame look has been done so many times by now. Still, it’s miles ahead of the G5. I’m particularly fond of the black color, which is truly pitch black and has a darkened metal frame to go with it, although it is a huge fingerprint magnet too. 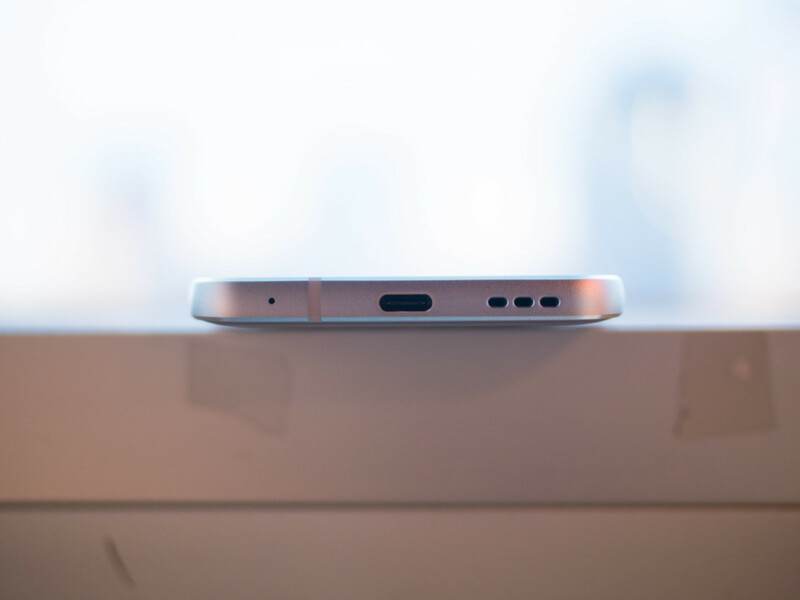 Whatever your take on the looks, it definitely feels solid; the G6 is built to be durable. 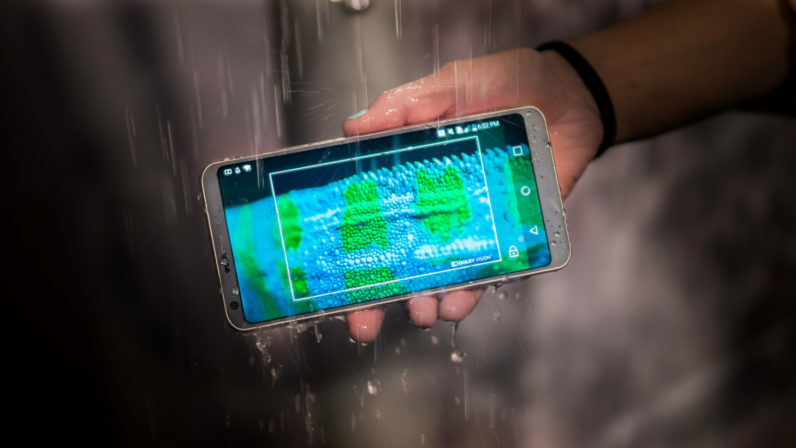 Aside from waterproofing, LG says it’s taken what it learned from the V20 and implemented a strong metal frame that should help it survive drops other phones would fail (up to the MIL-STD-810G military standard). Anecdotally speaking, I’ve dropped the V20 about a dozen times and the screen has yet to crack, so that’s good news. With a couple of digs at Samsung, the company also bragged about its extensive battery testing – including actually puncturing the battery – and an internal design that separates the G6’s hottest components. Basically the G6 won’t blow up on you, one hopes. Of course, you’re probably here for that 2:1 screen. It’s gorgeous. Though LG continues to choose LCD over OLED, the panel on this phone is truly excellent. The company fixed the terrible blue-ish color temperature from the G5, with a saturated and bright display that also seems very accurate at first glance. As it should, given it’s the first mobile display with Dolby Vision HDR support. That aspect ratio and relatively minimal bezels make for an unusually large screen for a device this size (80 percent screen-to-body ratio). Despite both sporting 5.7-inch displays, the G6 is much easier to hold than the V20, and the aspect ratio helps for running two apps side by side or watching media wider than 16:9. Many movies use 1.85 or 2.39:1 aspect ratios, and 2:1 is becoming more common (it’s used in a few Netflix series already). G6 vs V20. Both have 5.7-inch displays, though the V20 has a secondary always-on display as well. That said, LG has opted to exclude a one-handed mode in the G6’s software, a decision I can’t wrap my head around. The G6 is smaller than the V20, especially in terms of width, but far from being “small.” The one-handed mode is a feature I use multiple times per day, and even the actually-small Galaxy S7 comes with it. Meanwhile, the software hasn’t changed much between generations. The headline addition is Google Assistant support, making the G6 the first non-Google device with the technology. As for the cameras, both the ultra-wide angle and standard lenses now use the same type of sensor, which should improve the former’s performance – particularly in low light – a fair deal. LG says it now views the ultra-wide as equal to its other camera instead of just a fun bonus, and has made the transition when switching between the two a lot smoother. So far, so good. The G6 is shaping up nicely, though there are still a few important questions we can’t address until we spend more time with the device. Battery is one concern – while 3,300 mAh is decent, several flagships with smaller screens last year had batteries just as large or larger (though wireless charging is a welcome addition). Meanwhile the Snapdragon 821 is hardly an upgrade over the G5’s 820, especially knowing the much more powerful and efficient 835 is right around the corner. I’m not worried about the G6’s performance, but the battery benefits would have been nice. Then there’s the display. 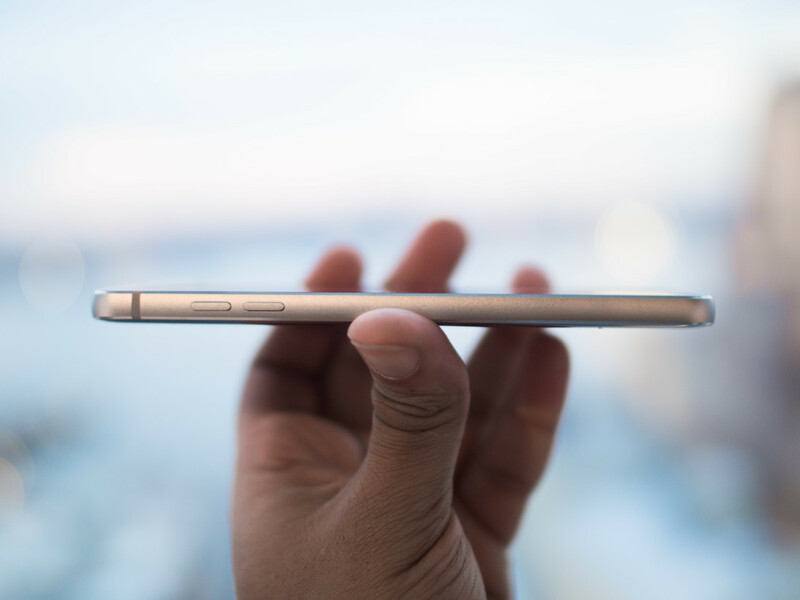 It’s gorgeous, but if the rumors prove to be true, it will not be the only tiny-bezel, wide aspect ratio screen this year. And in abandoning power-user features like a removable battery, LG is losing some of its niche appeal too (on that note, the IR blaster is finally gone. Cue sad violins). There’s a lot to like about the G6, but it will likely face seriously tough competition this year. We’ll see how the device holds up once we can put it through its paces.